All year round I have candles burning, I have sconces on my wall, tealights, oil burner...it makes my room feel cosy and of course a fire hazard but none the less, I enjoy candles but scented ones are the best. Rock On!! 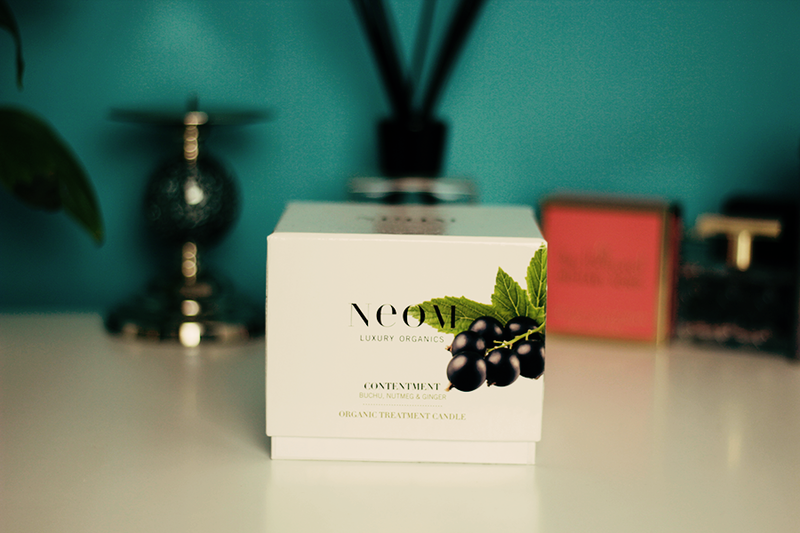 So when I got the opportunity to burn & review NEOM's candle I was happy enough to do so. These luxury organic candles are 3 wicker burning 380g of relaxation. With up to 50 hours burning time, there's a lot of life in this wax work. This fragrance is of a blackcurrant scent that's part of the South African buchu plant, according to reports the Duchess Kate Middleton is burning candles that carry the buchu scent, as it's helping her overcome nausea. Spicy nutmeg and warming ginger are included in this candle too. My nan puts pieces of ginger in her mouth when she also feels sick, I myself cannot take the smell of pure ginger, I can drink ginger beer but for some reason, tea, raw ginger - nah uh. So this seems like a safe bet for a relaxing night. For me, I'm so use to dainty, floral scents. Think vanilla, coconut, sandlewood, those are my scents. For me I didn't like it was a bit too strong for my personal fragrance choice but my mum and dad love it (they said it smells fresh, like cut grass). So instead of it just sitting in my room, my mum has it to burn - only fair. Once it burnt off and settled I will admit it wasn't as bad once burnt but before burning it was very strong. I wouldn't write off NEOM candles, you won't like every scent of a candle and especially due to the fact they use vegetable wax in their candles, nothing is synthetic, nothing harmful or toxic being released, so you can definitely rest assure your relaxing in a good environment. There's a few on the website that I would grab, minus anything with Lavender in. Really want a neom candle!